On Thursday 25 October, Andy Kirker, the Games Guy returned to the College to once again to play games with the Academic Excellence Program students. His games are based on the Australian Curriculum, Assessment and Reporting Authority (ACARA) general capabilities of ethical understanding, critical & creative thinking, and personal & social capabilities. The games involve collaborative strategic thinking within groups without technology. 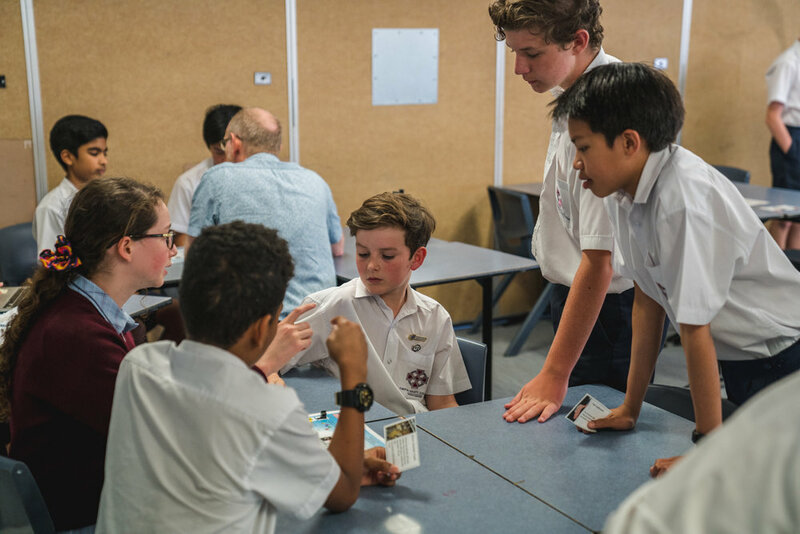 Year 7 students played Revival, which is a competitive game set in a post-apocalyptic world, where teams try to improve the wellbeing and liveability of their clans by improving their toxic environment, salvaging technology, and trading with or stealing from other clans. Year 8 students played Foreign Affairs, which is a rule-the-world type game with trading, influencing via diplomacy and includes international meetings. Each country is different, wars are difficult (as they should be) and students will have to deal with existential threats as well as direct problems with their neighbours. 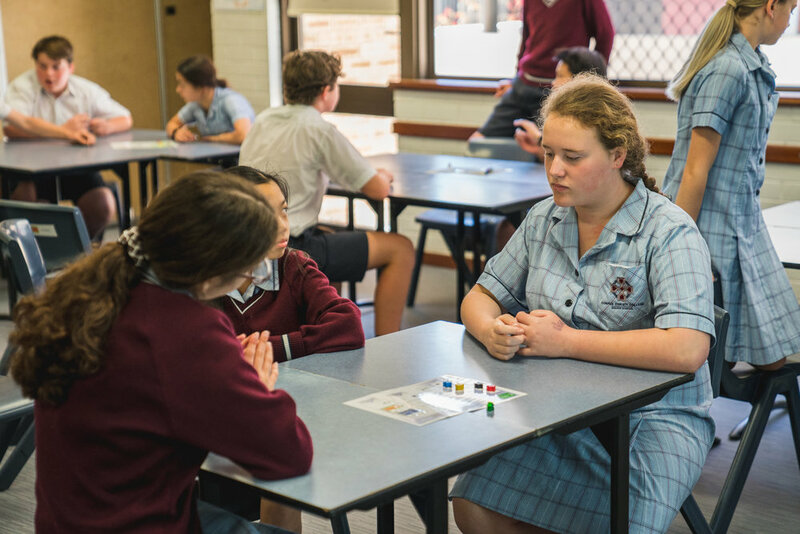 Year 9 students played a logic puzzles game called Time Lords, whereby students act as time-travelling agents, who visit 3 historical periods to solve puzzles and discover the identity of the evil time lord. Students were engaged and challenged during all sessions.